Some many people know what they want yet their desired reality always seems to be just around the corner. For instance, do you want to lose weight by summer? Do you want to take better care of your body and have more energy? Is it your goal to eat healthier foods? Those are great ideas but they hardly qualify as goals. Indulge me for a minute and I will give you some fundamental advice on goal setting. But more importantly, I will give you an easy way to do it when it comes to weight loss. I promise, it will be worth the wait. But first, let's set the record straight on what constitutes a legitimate goal. SPECIFIC. If your goal is to be eat healthier foods what does that mean? That you put less ketchup on your french fries? MEASURABLE. If you want to lose weight by summer what does that mean? That you want to weigh only one less pound at some point in the middle of summer. ACHIEVABLE. If your goal is to lose 30 pounds by Memorial Day, is that really achievable for you? REALISTIC. Would that 30 pounds by Memorial Day goal be realistic for you? TIMETABLE. 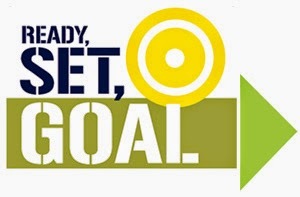 Having a timetable on a goal creates accountability and that is a critical element to ensure success. If your goal is not SMART, it may be a worthy feat to strive for but you would be missing out on your God-given right to achievement. You see, we are all wired for success. Don't believe me? Let's say for a moment that I will give you $1,000 if you can get your hair trimmed in the next hour. What does your mind immediately do? It begins to formulate solutions, doesn't it? Maybe you thought of the local shop, or your neighbor does hair or maybe you just thought that you could trim your own hair. Regardless of which ideas you came up, the reality is that as soon as you had a goal, your mind began to solve the riddle. That is because we are all wired for success. Once you have a legitimate goal in your mind, your subconscious mind works to make it a reality. So, do we really have the time and energy to sit down and make weight loss goals SMART? Maybe, maybe not. So let me give you an easy approach to setting your weight loss goals. How about getting an image of yourself looking slim and healthy. Imagine knowing what you are going to look like AFTER you lose the weight? It would excite you, I promise. But more importantly, it would provide you with the confidence and certainty to stay on your diet or exercise program over the long run. And that confidence and certainty would provide you the courage to make the tough choices. Choices like eating more healthfully and increasing your activity levels. You see, we all think in images. Don't believe me? Let's say that I ask you about your kids, your home or your car? I bet that you cannot think about them for a moment without at least a fleeting image of them can you? You know you can't. That is because we all think in images. So grab a compelling vision of your future self and let the vision empower you. Add a timeline too it and presto, you have a weight loss goal that is smart. And now your subconscious mind can grab on to it and the world will open up to you consistent with that new image of yourself. At Empower Me Photo, we revise your photo to show you looking slim and healthy. And we provide that to you in one of our empowering products such as a: Wallet Card, Fridge Magnet or Sticky Back Photo. As you are constantly reminded of how you are going to look AFTER you lose the weight, you are going to be motivated to make the changes in how you eat and in your activity levels. And that leads to weight loss.